Backyard gatherings should be as relaxing as possible. 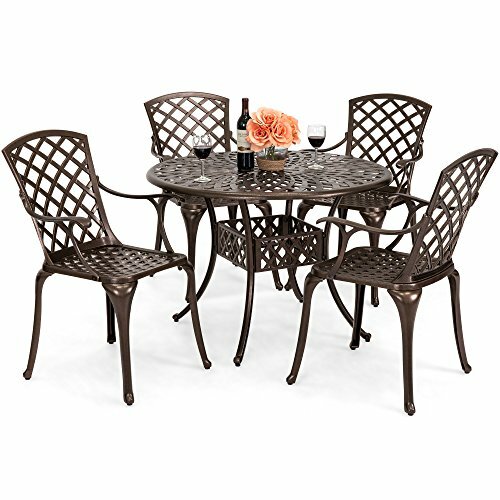 Experience the comfort of this 5-piece dining set which includes 4 contoured chairs with curved armrests. The beautiful lattice-weave design adds an elegant touch wherever it's placed. For sunny days, place an umbrella in the middle to keep cool. Chair Shipping Weight: 32 lbs. Ships and arrives in 3 separate boxes. Delivery times may vary per box.